Victory Mines (ASX:VIC) has provided a highly encouraging overview of its progress at its two Western Australia projects. Preliminary desktop study interpretation of Aeromagnetic imagery has highlighted multiple prospective primary mineralisation-bearing structures for cobalt, nickel and copper across the Galah Well and Peperill Hill projects. VIC non-executive chairman Dr James Ellingford commented on the update, “The Board is delighted the desktop study confirms the two West Australian projects are highly prospective for cobalt, nickel and copper mineralisation. The projects are in close proximity to where two (potentially three) differing mineralised systems intersect (as seen below). VIC notes that this phenomenon largely explains why both projects are highly prospective for cobalt, nickel and copper mineralisation hosted within sulphides and laterites. 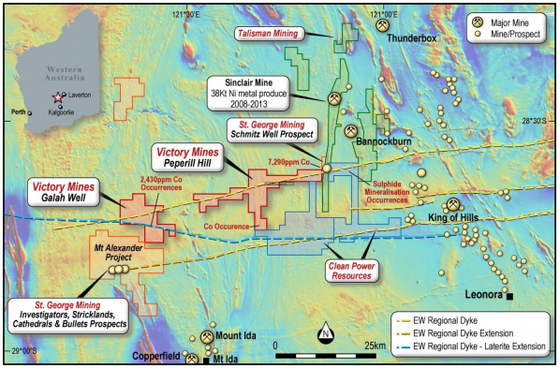 As seen above, there is a north-south trending shear zone/magnetic anomaly that runs between Talisman Mining’s (ASX:TLM) Sinclair Nickel Mine and St George Mining’s (ASX:SGQ) Schmitz Well prospect. VIC’s Peperill Hill prospect is believed to feature several north-south trending structures which are similar in nature to the one connecting TLM’s and SGQ’s ground. 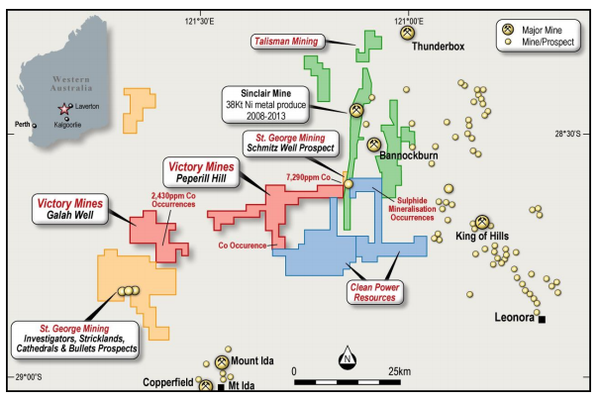 These structures are prospective for cobalt mineralisation, with verified occurrences within the Peperill Hill tenement. The company noted that historic air-core drilling results suggested near-surface ultramafic units with elevated cobalt mineralisation, which confirms the project’s lateritic cobalt potential. The Galah Well and Peperill Hill projects are located within the Murchison Province of the Yilgarn Craton – a geological province traditionally recognised as a greenstone mineral province, with north-south trending shears controlling mineralisation. However, several east-west structures (Widgiemooltha dykes) that cut across the terrain are gaining increasing interest for their mineralisation potential. These structures are prospective for cobalt, nickel and copper sulphide mineralisation, with a preliminary desktop study detailing historic intercepts across VIC’s, SGQ’s and TLM’s ground suggesting a significant yet to be confirmed polymetallic mineral province. Via aeromagnetic imagery, Galah Well and Peperill Hill are believed to be intruded by these dykes, which span their entire circa 60km length and are located within the newly claimed mineral province. The Western Australian government mapping system has distinguished between the exposed and concealed dykes within the east-west trend. VIC’s Galah Well project previously reported legacy assay results from an open borehole that featured 2m at 2,430ppm cobalt from the surface. The anomalous drillhole is located on a geophysical magnetic anomaly that trends approximately east-west across the project area. The Widgiemooltha Ddykes were placed approximately 2,400-2,420Ma allowing sufficient time for the laterisation processes. 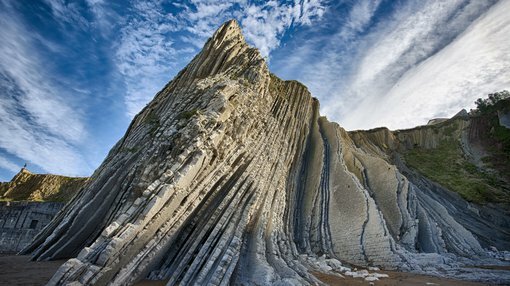 Because of this, the company believes the weathered near-surface features could present a lateritic profile that could open up free-dig mining operations. In addition, the north-south trending shears that host the ultramafic lenses suggest lateritic potential within the region. Most notably is the nearby Schmitz Well intercept, which had 2m at 7,290ppm cobalt from 34m, with the lithology recorded as saprolite. Lateritic profiles are a key component of cobalt nickel from regolith, ultramafic bearing Greenstone belts within Western Australia. Therefore, a potential economic lateritic development over the two mineralisations could be advantageous for VIC, leveraging early cashflow through low cost open-pit operations. VIC concluded its update by reiterating that it will prioritise the finalisation of its inaugural drilling program at its NSW projects before progressing its WA assets.